The North Africa and Middle East Science centers network (NAMES) was launched on 30 January 2006 during a meeting initiated and organized by the Bibliotheca Alexandrina (BA) Planetarium Science Center (PSC). The goal of NAMES is the popularization of science throughout the region by enhancing the public understanding and involvement in science and scientific culture among an increasingly diverse audience. The purpose of creating NAMES is to foster cooperation between existing science centers and museums in North Africa and the Middle East with the aim of benefiting from all available resources and experiences within the region to further enhance the role of all member establishments. The Network also aims to help establish new science centers and museums in all countries of the region. The purpose and goal of NAMES are to be achieved through excellence and innovation in informal education and by offering hands-on activities where the audience can indulge in participatory learning. - To join NAMES, please fill out the Online Registration Form. Identifying the current situation, means, and venues of science communication throughout the region. 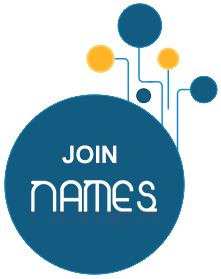 To know more about NAMES Membership Benefits, please click here.